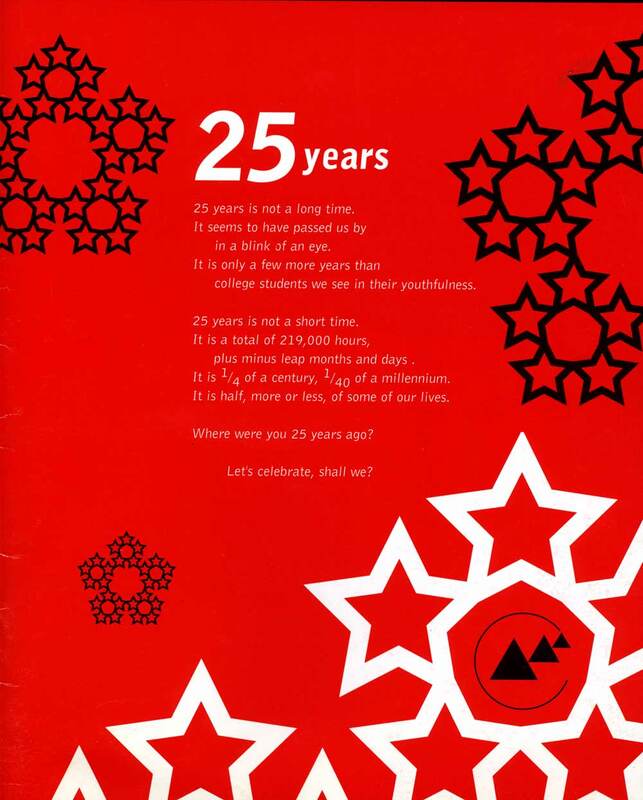 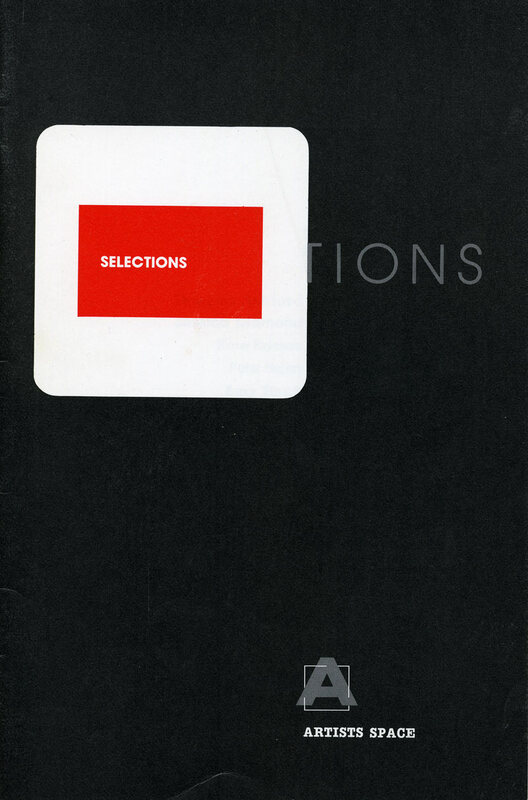 Exhibition brochure for "Selections from the Artists File" at Artists Space, New York City, from Nov 3-Dec 1, 1984, with artists Douglas Ashford, Jessica Diamond, Kate Ericson, Peter Halley, Amy Hauft, Alfredo Jaar, Hilary Kliros, Barbara Lattanzi, Charles San Clementi, Anthony Silvestrini, Charles Yuen, Michele Zalopany, Mel Ziegler. 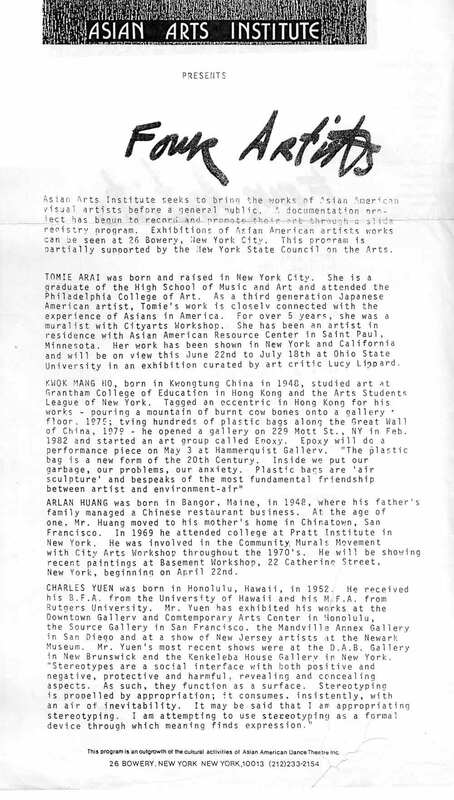 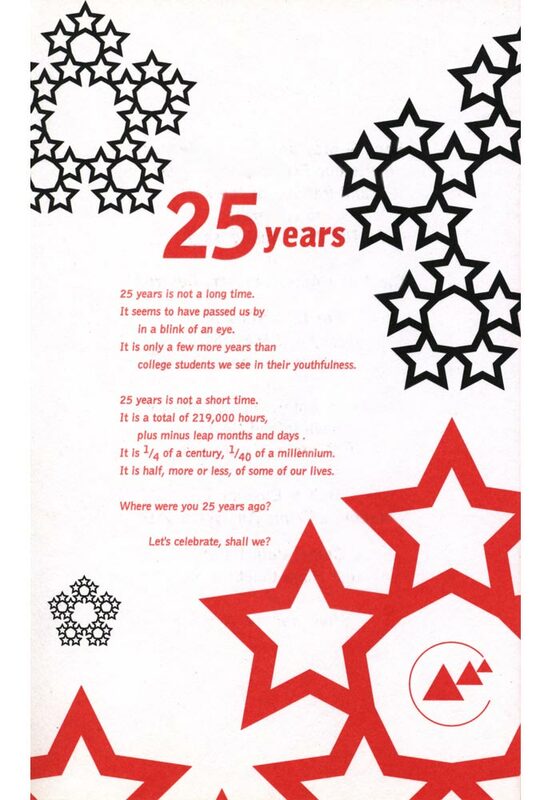 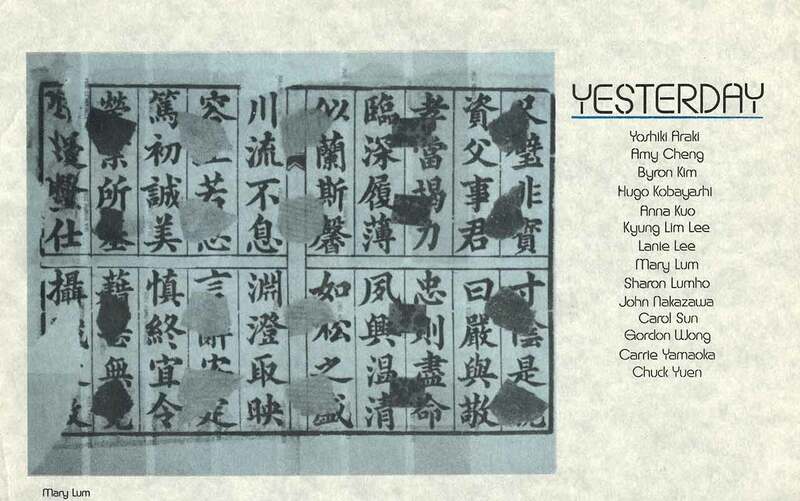 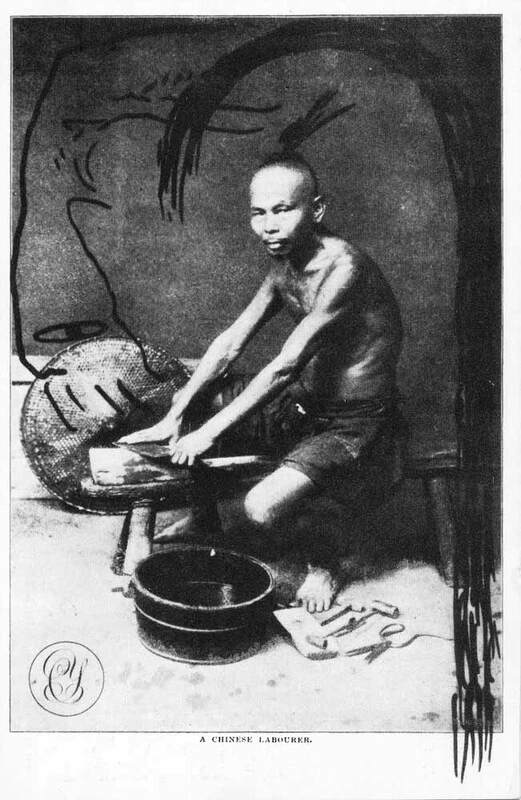 Exhibition postcard for "Charles Yuen" at the Catherine Gallery at Basement Workshop, Inc., New York City, from May 10-June 1, 1985. 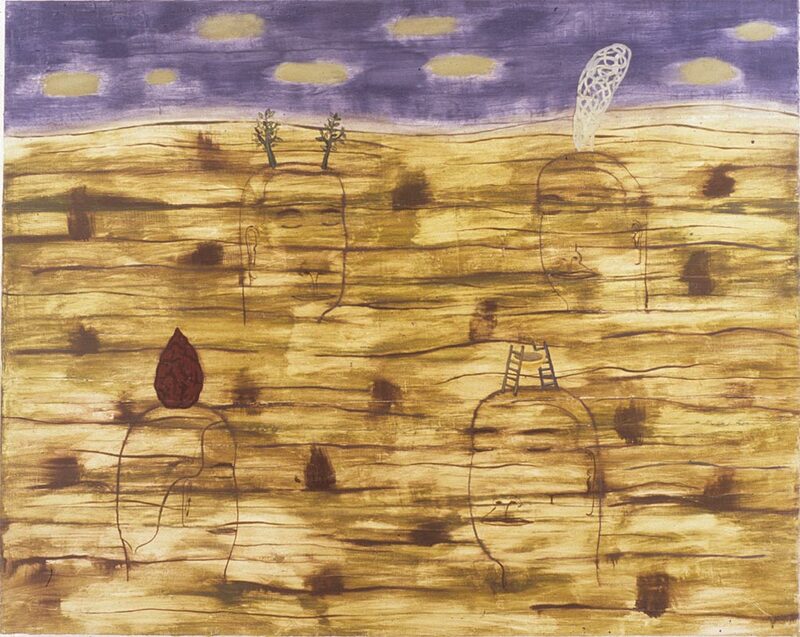 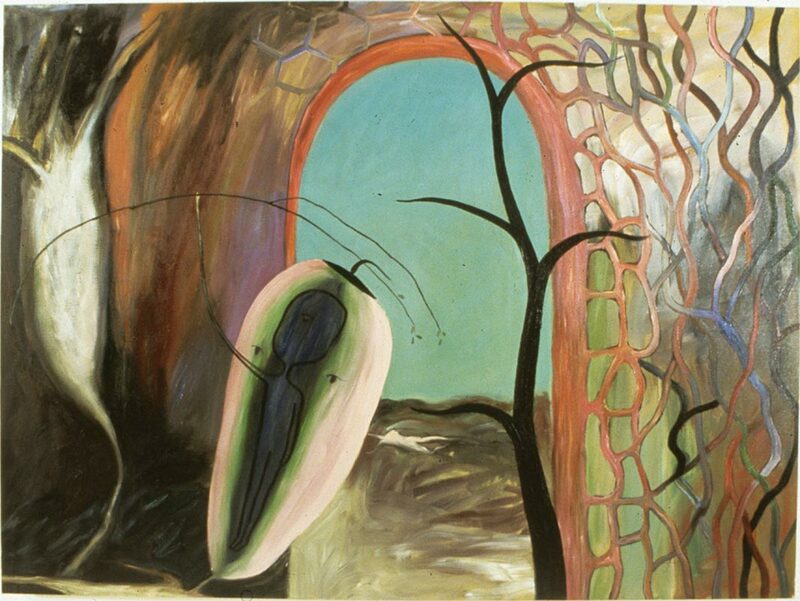 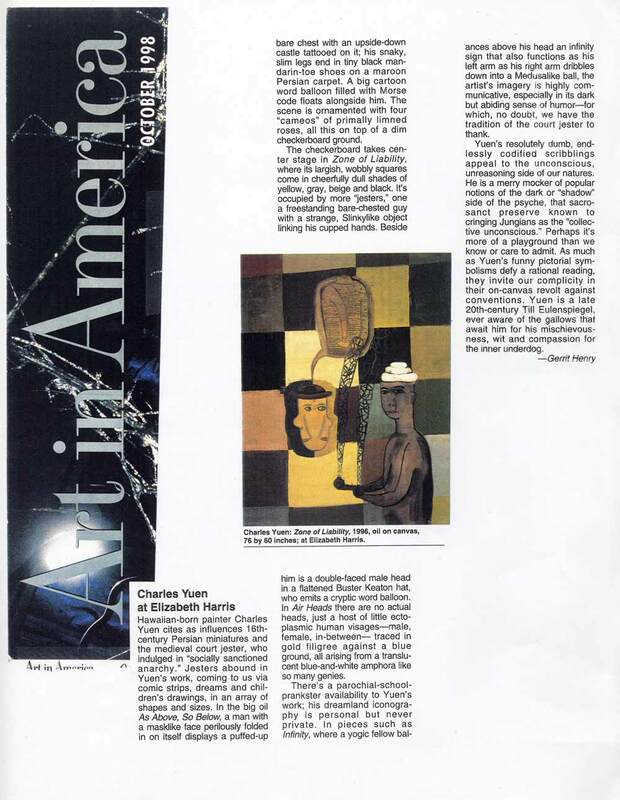 Exhibition press release for "Casbah Paintings" at Art in General, New York City, from Oct 9-Nov 13, 1993. 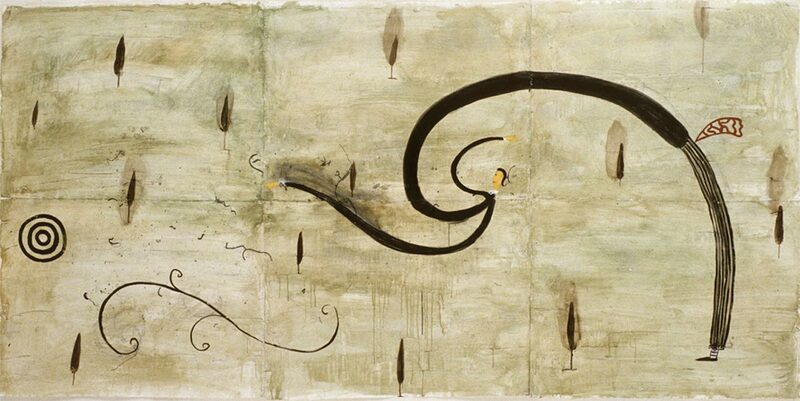 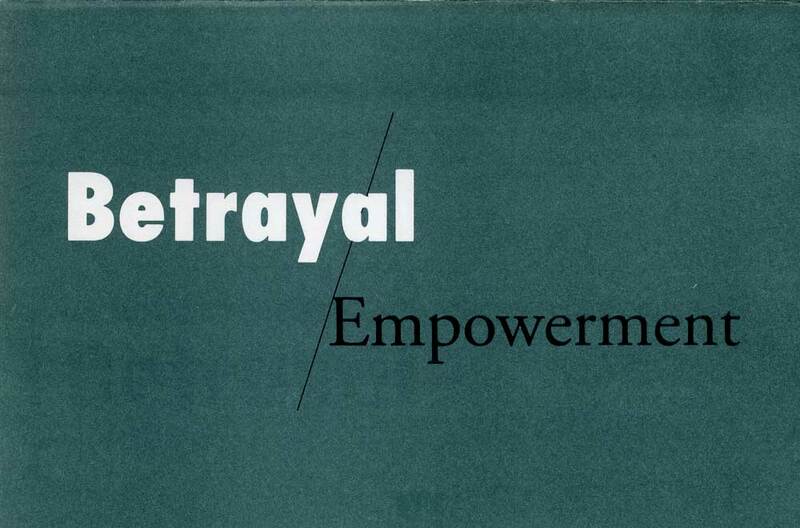 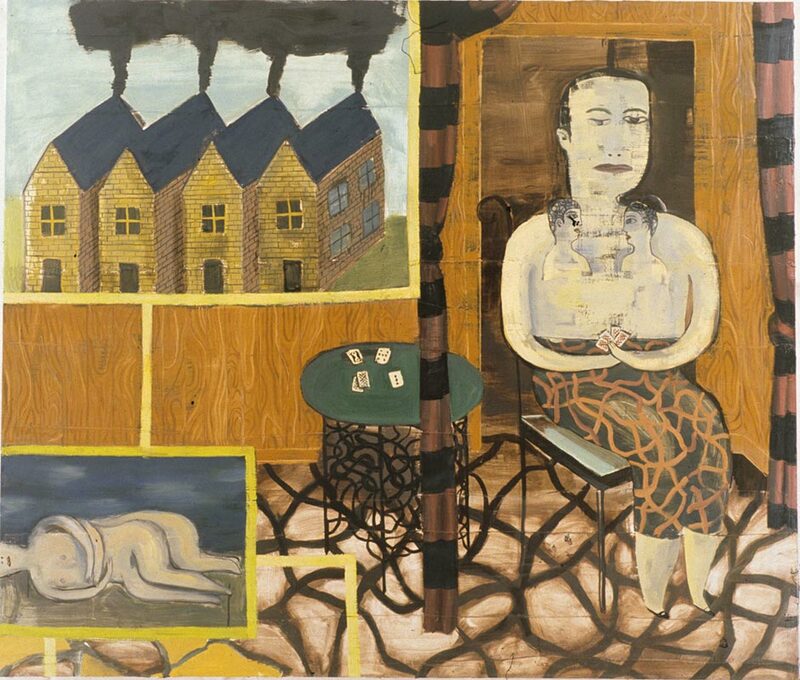 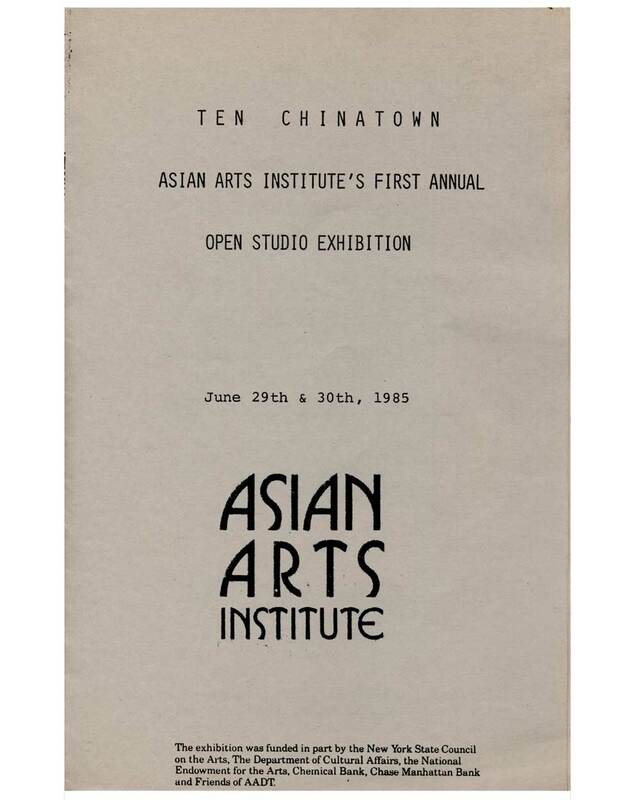 Essay by Karin Higa. 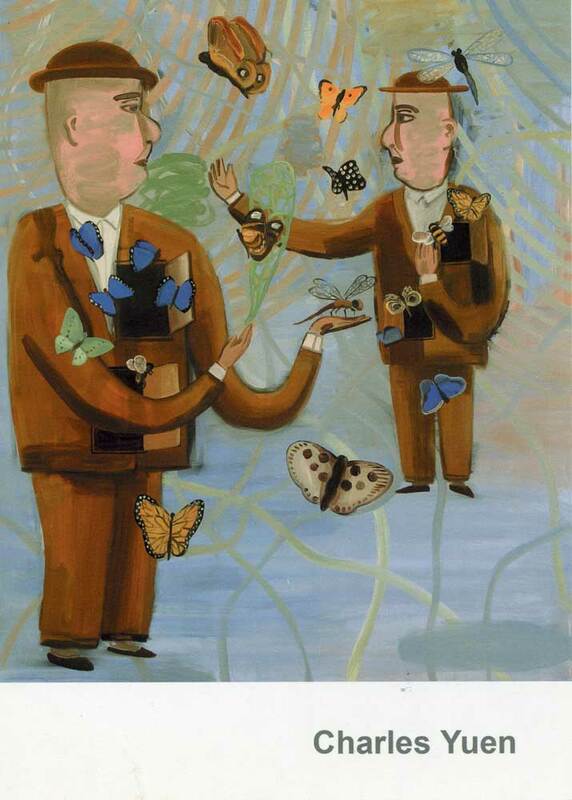 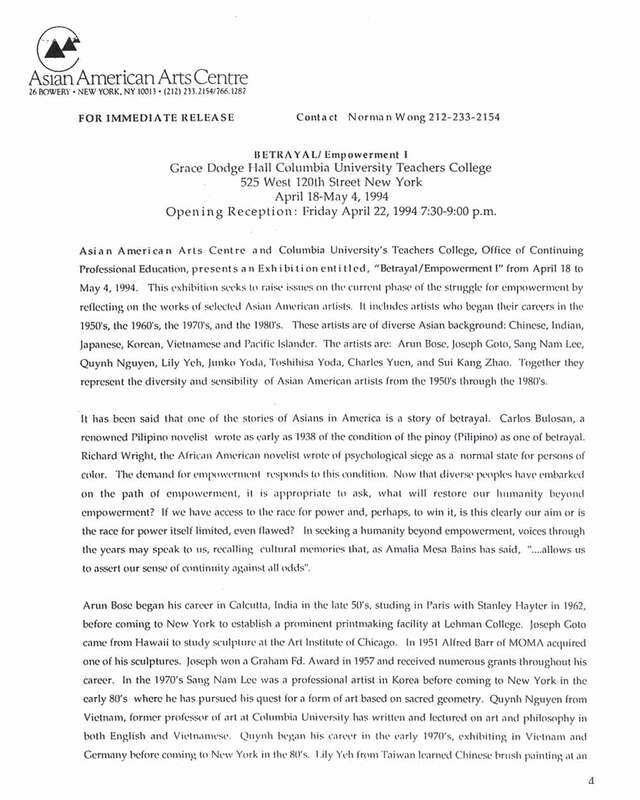 Exhibition flyer for "Charles Yuen: Psychographic" at Metaphor Contemporary Art, Brooklyn, from May 19-June 19, 2004. 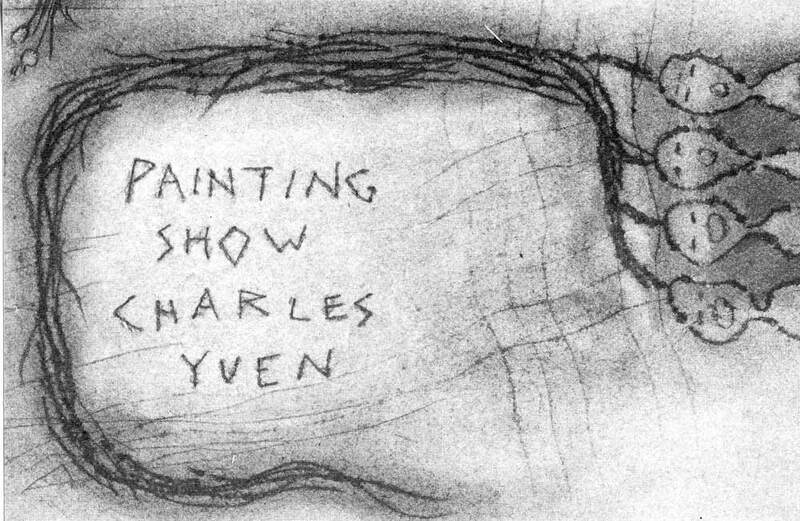 Exhibition postcard for "Painting Show: Charles Yuen" at the Catherine Gallery at Basement Workshop, Inc., New York City, from Jan 10-31, 1986. 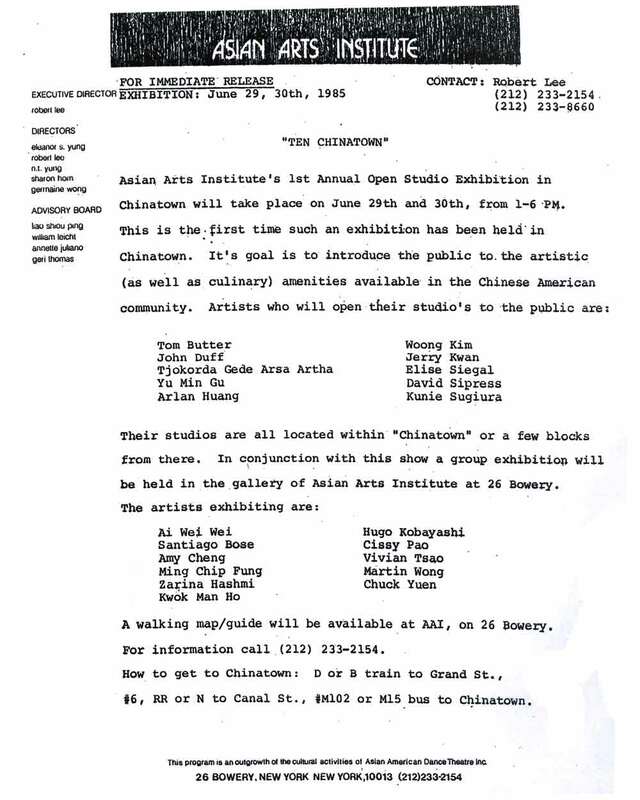 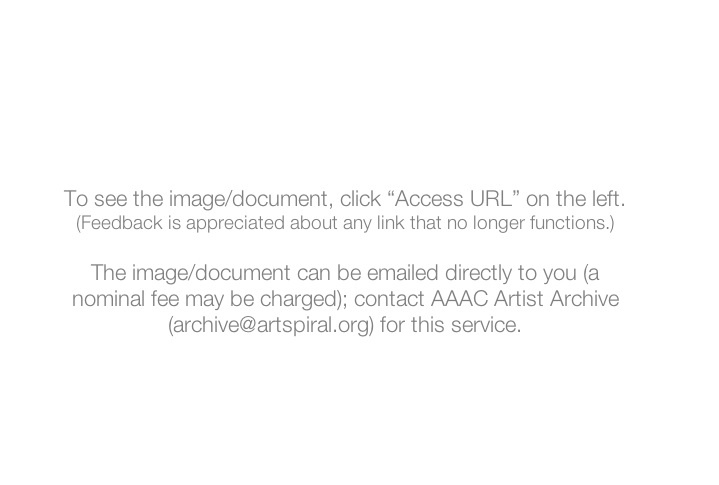 Exhibition press release for "Four Artists" at Asian Arts Institute, New York City, , with artists Tomie Arai, Kwok Mang Ho, Arlan Huang, and Charles Yuen. 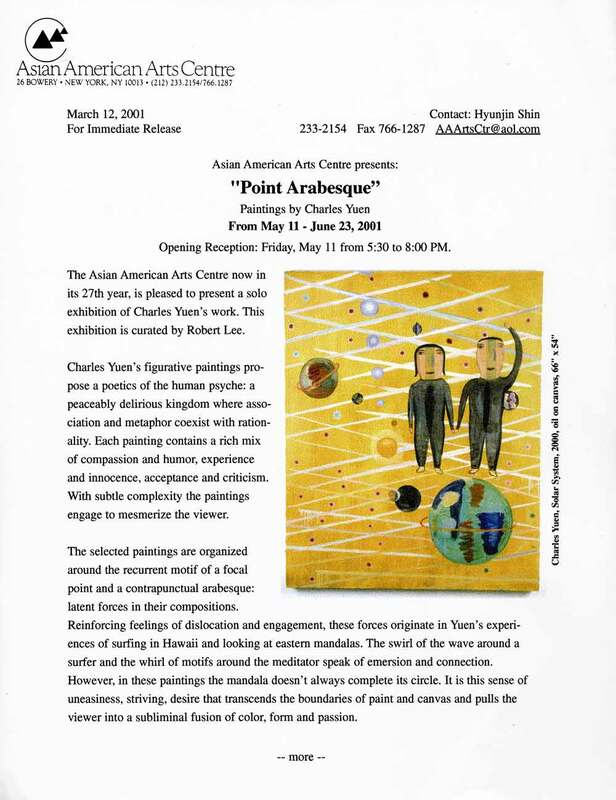 Exhibition press release for "Point Arabesque" at Asian American Arts Centre, New York City, from May 11-June 23, 2001. 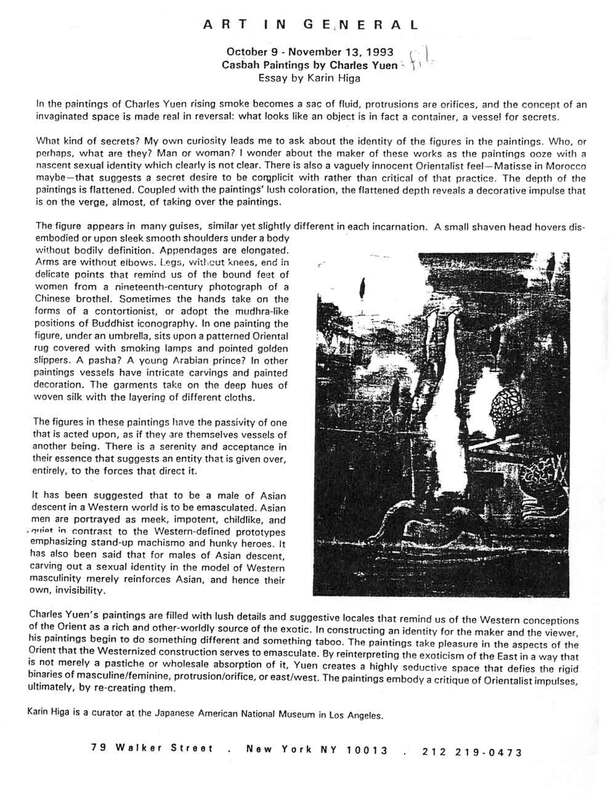 Text by Lilly Wei.